We all know Millennials are ruining everything. They’re freaks who don’t buy homes, don’t get married, don’t watch network TV, they don’t have real jobs, and they don’t have cars. But, actually, they do have cars. Maybe only 75% of them have cars, which is low compared to Gen Xrs or Boomers, but if 75% of Millennials have cars, that means they own more total cars than 100% of Gen Xrs. And sad to say, the Boomer population are losing members every day (hey …it’s the circle of life) and Boomer couples are no longer 2-car families. They’re old. You get what I’m saying, right. Here’s an article I wrote for Tribune Publishing. Remember my friend Matt. How great was he? So great he inspired Cherie R. to write something amazing for MattBairRemembered.com and her words made me smile and cry. If you see Cherie, give her a hug and tell her great job. For people-not-named-Don, sometimes writing and speaking from the heart doesn’t come easy. But if what you write comes from your heart and is your voice, trust me, it will be beautiful and people will like it. Lastly, Will Ferrell and John C. Reilly did this seven years ago and I heard about only a few days ago. Is it funny? I’m not sure. It’s word for word, beat for beat, a total recreation of David Bowie and Bing Crosby. I mean. They didn’t change a thing. So I guess it’s not funny, but because they didn’t change a thing, I actually think it’s amazing. So to everyone who went to the Tim & Jeanette’s on Saturday …drum roll …We did it! We said we should have a get-together. Then we planned a get-together. And then we all showed up. OK. Tim has been planning regular get-togethers for a few years and I just didn’t show up. But no more. 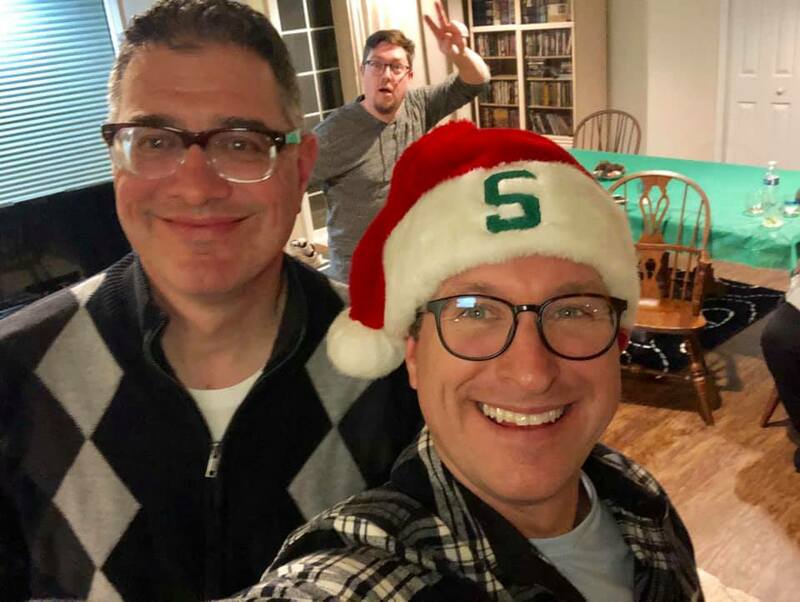 Two months ago, when frat’ brother Matt passed away, we hugged and cried, and we told each other, “we need to get together more often.” And then we did. And it was wonderful. I want to say the fellowship, reminiscing, and catching-up was the highlight, but I’d be lying. Saturday night, first and foremost, is the night we all first tasted Tracie Hunt’s White Chocolate Covered Peanut Butter Balls. Ya know how history defines things as B.C. and A.D.? Well, for the rest of our lives we’ll call it “B.P..B and A.D.P.B.” which of course is “Before Peanutbutter Balls” and “After Digesting Peanut Butter Balls.” I don’t remember if we lifted Tracie upon our shoulders and carried her around the living room as if she’d won a championship, but that might’ve happened. The only awkward moment was her husband, Rick, wondering why he wasn’t quite important enough to have ever had the White Chocolate Covered Peanut Butter Balls before Saturday. Come to think of it, that is a good question. I imagine that was a loooooong ride home and we wish them luck in their marriage counseling sessions. Big thanks to Host and hostess, better known as The Insult Comics Tim & Jeanette. Jeanette was on fire! She won the Roast Battle. Their house is amazing but we really only needed Tim’s basement kitchen/bar, lined with Costco sized (and branded) bottles of bourbons, whiskeys, vodkas, and beers. It’s the kinda place I could see myself sitting around for hours. And that’s exactly what I did. My time at the bar was interrupted only for as long as it took to race upstairs and stuff myself with food. Oh, and I did move a few feet away to play Catchphrase. Pretty sure Team #2 won convincingly behind the Catchphrase master skills of Suzann Hallman. The White Chocolate Covered Peanut Butter balls weren’t the only food and dessert highlight. I would be remiss if I didn’t mention the 100-Mile dessert courtesy of Steve Hallman. The dessert can only be served after driving 100 miles. No. It’ can’t just come right outta the oven. At least I think desserts are better when they travel great distances because Phil’s No-Bake Chocolate Oatmeal cookies were damn good and they logged many miles to get to the party. The winner of Best-Food-Item in the Non-Dessert/Non-Booze category was definitely Tim S’s Spicy Bacon Wrapped Tater Tots (aka heart-burn bombs). They were worth every uncomfortable moment post-consumption. Lastly, the M.V.P. (Most Valuable Party Guest) was Kwass. If ever you hear me questioning his friendship, just know this …on this night, Verve Pipe was playing a concert and he chose us over Brian Vander Ark (but PLEASE don’t let this get back to Brian, as I’m pretty certain he thinks Kevin would never blow off a Verve Pipe concert for anything or anyone). We had plenty of ice. Thanks for asking. If we get together again next year, we might still be using the same ice source. In summary, this Blog would have you believe the food and booze were the only thing worth Blogging about, but that’s not true. 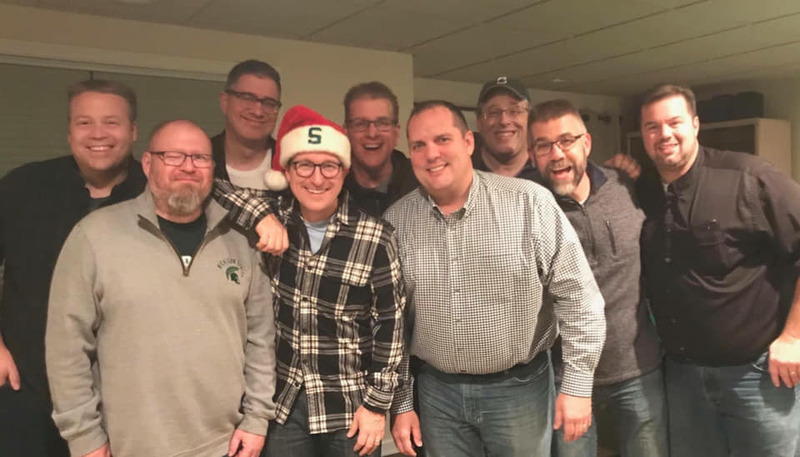 These guys are like my brothers, and they and their wives are like family, and unlike people who meet me now, well into my 40s, a father-of-three, who I only allow to see the best-of-Don …these people at Tim and Jeanette’s house knew me back when I was 19 …and 23 …and 27 …when we all didn’t quite know what we were doing and they saw the worst-of-me (and I saw the worst-of-them), and we all love each other, anyway. And I don’t know a group I’d rather spend my Saturday night with. I have a sickness. A never-ending quest for better and better headphones. The latest addition to my collection are the JBL Everest Elite 750s. My regular-guy review is here. For music listening, they’re B+ or A-. For phone calls, especially when wired and speaking into the inline mic … they’re the best. Period. Yes. I’m going to become a story-teller. Why not? It doesn’t matter that I’m 45-years-old. I’m still living out my promise to myself, and my promise to the spirit of my friend Matt, that I won’t waste another day. Like, I’m getting emails from kids at Michigan State who saw my lecture a few weeks ago and they’re asking for advice. I’m not about to tell any of them, even the 23-year-old who said, “I feel like I’m running out of time,” that they should take chances and have adventures and then I sit home and wish I would’ve written stories, told stories, and wrote a book, but now I’m “out of time.” If I, at 45, told a 65-year-old how I’m feeling, he’d probably punch me (that’s what that generation did …punched and tweaked ears). Today’s Blog post is brought to you by “listening.” Listen to your heart. Listen to me. Listen to quality headphones. On my morning walk with my over-the-ear headphones, dress shirt, and a cardigan sweater. Sorry ladies …I’m taken. I’m not the only guy on the planet obsessed with Podcasts. It’s entirely possible that I spend, at a minimum, listening to 10-hours worth each week. It’s also possible I’m lying about that number so when my wife, boss, or Dad reads this they don’t realize I’m probably pushing 20-hours a week. 20-hours a week listening to Podcasts. This is where I would list all my Podcast subscriptions (Drew & Mike Podcast = 10 hours, Up First = 1.25 hours, Fareed Zakaria GPS = 1 hour, PTI = 2.5 hours, The Tim Ferriss Show = 1 hour, UMD Newman Catholic Campus = .5 hours, View from the Cheapseats = 1 hour, and many, many more that I subscribe to and listen to if I like the guest). What a waste of time, right? Some? Yes. Total waste of time. 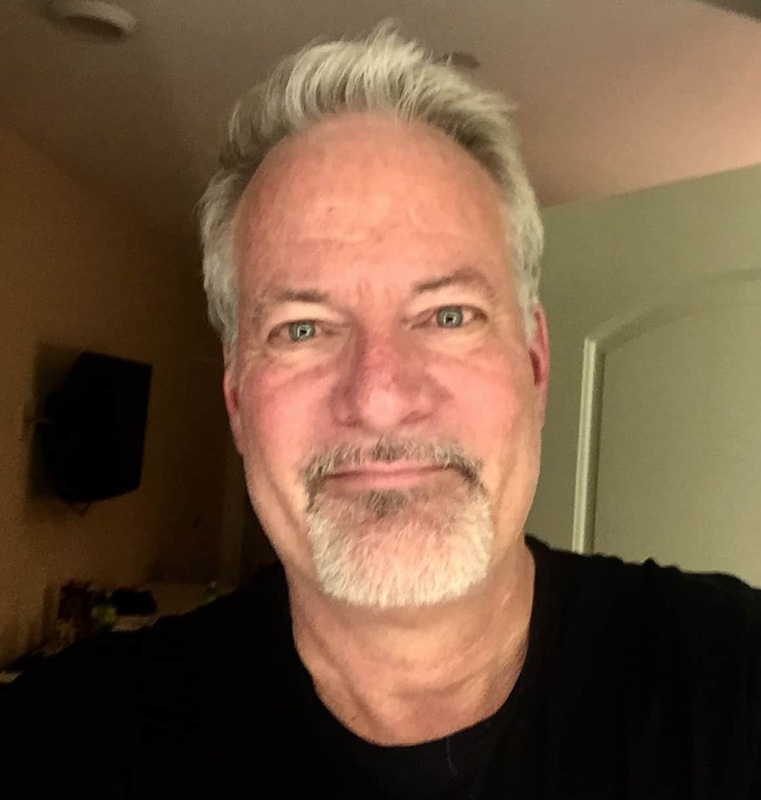 But I like inspirational, instructive, and interesting Podcasts, too …like Hidden Brain, the Jocko Podcast, and Fat-Burning Man, to name a few. Today I want to share two Podcasts that might’ve changed the direction of my creative life. Yes, I like to think I have my regular life, and my creative life. I like to think, and I told my life-coach this very thing – I’m at my best when I’m being creative. I like to write. I like to turn a story into a presentation or eulogy. I have for a long time. I thought, maybe, at one point in my life I could be a stand-up comic. Then I tried improv theater. I’ve spoken to businesses at grand openings, to a class at MSU, to my church, to the parents at my school, and I liked doing it and people said they liked listening to me. So what? What do I do with that. This week, I liked the topic on the Art of Manliness Podcast. The guest was Matthew Dicks and the episode title was “How to Tell Better Stories.” It might be the exact right thing I needed to hear at the exact right time in my life when I’m grieving and dealing with a mid-life crisis of sorts. 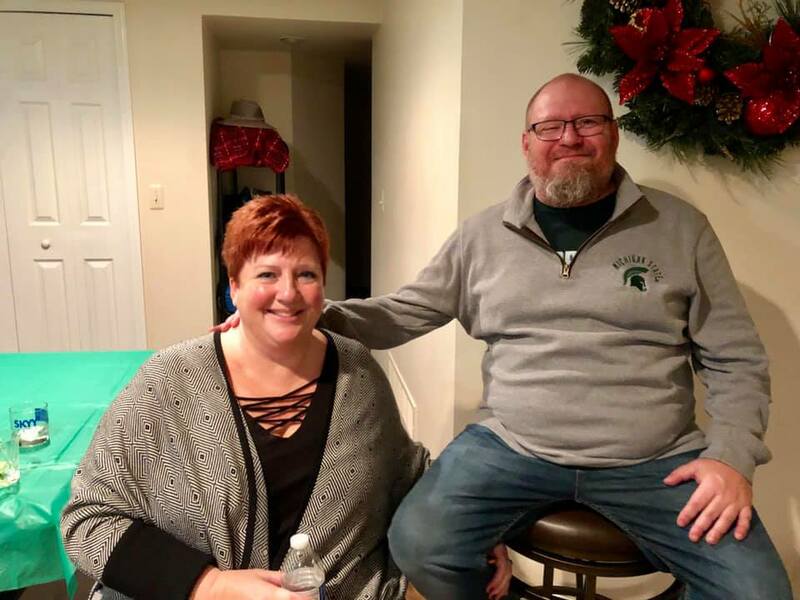 Some of you might know I lost one of my best friends, very suddenly, in October 2018. He was 47. He was out for a run, ya know, like doctors say we should do to stay healthy. Cardio. It’s supposed to be good for us. His heart didn’t allow him to finish his run. This guy, Matthew Dicks? He tells stories. That’s it. Someone told him, years ago, he should share his stories. He did. It went well. And three books, many awards, many episodes of a Podcast, a wife, two kids, and many stories later, that’s what he does. And he’s very, very good. I’m not even saying, “I want to be the next Matthew Dicks.” I’m just saying, hey, I have stories and I want to try this. 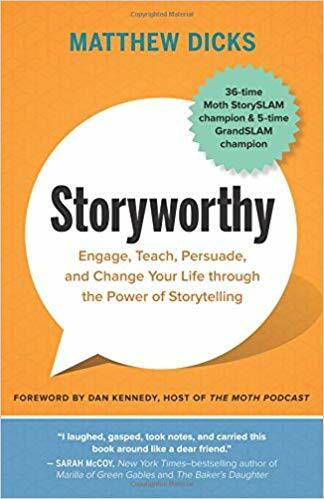 I bought his book, Storyworthy. I’ve been reading it like I’m on death row (I don’t know what people do on deathrow, truth be told, but I would read books like crazy… and eat Double Stuff Oreos with milk for every meal). I’ve identified a few storytelling events I’ll be attending. All those Podcasts sometimes feel like a waste of time. All this Blogging over all these years might all be for nothing. Then again, if we spend some time filling our ears and brain with good ideas, inspirational people, and listening to stories, maybe – just maybe – we can write our own. Here’s Matthew. This. Is. So. Good. Say good-bye to Kaleidoscopic Raygun as you know it. And get ready for a Blog that will act as my creative portfolio, a resource for my clients, a landing page for my writing, and pretty much “my brand” (or “Brand Don”). Earlier this week I had the good fortune to be invited by Professor Karl Gude to guest-lecture at his super-cool Media Sandbox. It’s a HUGE class with 500 enrolled students and I would guess 400 of them were in attendance to watch me speak. I spoke for about 40-minutes and then answered about 15-minutes worth of questions which included me singing a commercial jingle I had written at one point in my career, and telling two of the jokes I could remember from my stand-up act from 14 years ago. I hope the horrible singing and the un-funny stand-up material didn’t detract from what I thought was a somewhat interesting lecture. The lecture was on evolving media with an emphasis on journalism, I talked at length about radio, and then I tried to mix in some life lessons about making bold moves and realizing that sometimes a “bold move” can be nothing more than showing up or introducing yourself to someone. After my lecture, some students came up to me and asked me questions about my job, about switching careers, and someone asked me, “how can I make my Blog blow up.” I gave out all sorts of advice. Some pretty good advice, I might add. But …then I drove for an hour and half back home and the entire time I was thinking, hey, ya know …I don’t actually take my own advice. This is not just me saying it. This is my friend Nick G., this is my friend Dave A., and my friend Word (that’s what we call him). This is everyone saying I should “do this” or “do that” and my mind hasn’t ever really believed “this” or “that” was realistic or was anything more than a fantasy. That is not what I told the 400 kids at MSU on Tuesday, November 13th. Nope. I told them “dream big” and “make bold moves” and for a Blog to “blow up” it needed to have daily posts about one thing and should be supported with an active Facebook, Twitter, Instagram, YouTube, Tumblr, and email blasts. Every Blog, I said, should be a Podcast, even if that Podcast was simply on SoundCloud. I was channeling my inner-Gary Vaynerchuk. But I’ve never actually done the things I was telling these kids to do. Chances are, you know what you want to do and you might even know what you should do to make it happen, but you’re not. Follow me on my journey, OK. Or take the steps with me. Step 1 …make my Blog more than just a collection of funny posts about coffee and my amazing hair. Somebody came up to me at Church and asked, “has your life become boring? I haven’t seen any new Blogs. What gives?” See!?!?!? People like reading about my shoes, coffee, my hair, and my obsession with headphones. And then someone called me based on a recommendation and said, “will you help me make a Blog, a Facebook Page, Twitter, Instagram, and complimentary marketing material? I’ve seen your work and your writing and I think you do great work.” See?!?!?? My inconsistency in spelling and grammar don’t mean nothin’ to nobody. And then …someone asked me to come speak to their class at Michigan State. Oh …yawn …I’ll only be speaking to 500+ impressionable college kids about “reinventing old media.” No pressure. I’ve wanted to yell at some random teenagers for a while, so this is perfect. And then my iPhone7 started acting strange, so I was due for an upgrade, so I got a new iPhone8 today and it’s exactly like my iPhone7, and ya know what, I don’t care. I’m also going without a case, protective glass, or anything. Just a phone. Period. Throwing caution to the iWind. And then I get a notice from Wordpress that they have a new editor called Gutenberg, and I like the Police Academy movies, so I’m in. It’s a Beta test and I’ll assume I’m part of an elite Blogging team and only we were asked to audition the new editor. I’m awesome. And lastly, the real reason I wrote this Blog, and it’s because I love my neighbors. Well, not my actual neighbors, like the people living literally next door to me, on my street, across the street, and behind me. Don’t get me wrong. I have some great neighbors. But if you’re neighborhood doesn’t belong to the nextdoor.com network of neighborhoods, you’re missing out on some of the best entertainment on earth. Like this… there’s a parakeet on the loose. We get alerts from concerned neighbors on topics like this all the time. Now, if you’ll excuse me, I’m off to catch a FREE parakeet. About two years ago I replaced all butter, vegetable oil, and canola oil with ghee, olive oil and coconut oil. With that triple-play move I assumed I’d solved my cholesterol, Alzheimers, and heart disease issues. I replaced my peanut butter with almond butter. I replaced my milk with almond milk. I take a daily multivitamin. I added a salmon oil supplement. Started sprinkling cinnamon in my smoothies. Started exercising. I replaced my mayonnaise with an avocado mayonnaise product. So this morning I woke up early and read this, this, this, and this. I’m killing myself, I guess. Next I’ll probably hear my essential oils cause skin cancer and that my salt lamp will make me blind. I like popcorn popped with coconut oil. I think ghee (aka clarified butter) makes my scrambled eggs taste better. A dab of coconut oil massaged onto my beard before shaving, and then another dab on my neck after shaving and a shower, has finally cured my lifelong battle with razor burn and post-shave acne. *sigh* I know the truth. I wasn’t looking to coconut oil to help me live forever. But I did read it made for the best stove popped popcorn, and it does. I read coconut oil has MCT and is good for the brain. I like the smell. I use exactly a teaspoon daily. I also know excess butter, ghee, canola, or vegetable oil is not as good as not using it at all. Just like I know if I was a vegetarian I’d be healthier than I am as a guy that eats cheeseburgers, steaks, ribs, and bacon. I wrote this Blog post for my wife. When I was younger, I thought IZOD was a pretty good brand. So when I was at Kohl’s shopping for some wrinkle-free microfiber wash-n-wear no-iron dress pants that could, as they say, go from the boardroom to the bar, I thought these Izod golf pants looked like dress slacks but could stretch and be washed and be inexpensive and make me look dressed up. I thought, hey, these would go well with a shirt, tie, and blazer or with a polo-style shirt. Should I care? In a world where Account Executives wear jeans and logo-Ts to work on days when they don’t have appointments or presentations, or when everyone wears chinos and jeans, should it matter? This is where our P.C. society (and my current lack of co-workers) fails me. In the old days, if someone dared show up making a bold fashion statement, and it was obviously a failure, co-workers would point it out. If I showed up to work in a white half turtle-neck and blazer, I’d be helped by co-workers all saying, “what the hell is that you’re wearing?” And it would be the last day for that turtle-neck/blazer look. If someone wore a blue shirt with a white collar, he should rightfully be mocked and immediately retire that 80s/90s look. Hence, here I am confidently sitting my Black IZOD Swingflex Stretch Performance Golf Pants from Kohl’s and I believe in my heart I look like I’m wearing wool-blend dress pants …but what if I don’t? These are the things that stress me out on my commute each day.